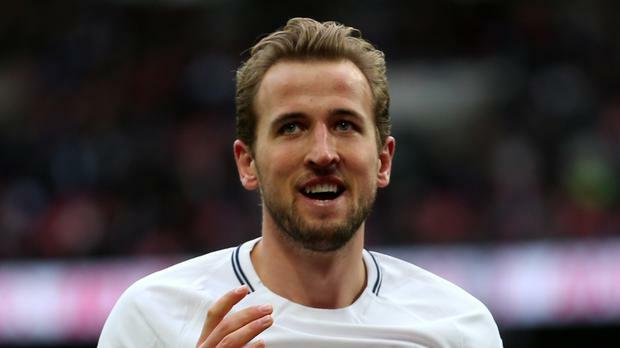 Mauricio Pochettino hailed "world class" Harry Kane after the striker smashed the Premier League record for goals in a calendar year with a match-winning hat-trick. Kane needed just one strike to surpass Alan Shearer's 22-year-old record of 36 goals but he broke it in style with a superb Wembley treble in the 5-2 demolition of Southampton. The England international, who has made history in just 36 appearances compared to Shearer's 42 for Blackburn in 1995, put Spurs into a two-goal half-time lead with a close-range header and a simple tap-in before completing his second successive hat-trick with a dinked finish over Saints goalkeeper Fraser Forster for his side's fifth. Kane's third goal also moved him ahead of Barcelona forward Lionel Messi for the most goals for club and country by any player in Europe's major leagues in 2017, delighting manager Pochettino. "First of all I want to congratulate Harry Kane, massive achievement for him, well deserved," said the Argentinian coach. "And we are all so, so, so, so happy because it's an amazing thing to celebrate. "For me, he's world class. "I think today, (number) one striker in the world, specific position, who's better than him?" Speaking to Sky Sports, Kane said it was a "great feeling" to break Shearer's record. "It was hard not to think about it going into the game being level," he said. "As always I wanted to win the game first and foremost but of course I wanted to score as a striker. To get that goal early on and get that record was a great feeling and I could enjoy the rest of the game." After Spurs controlled the first half in front of a relatively subdued crowd, the game became more end-to-end after the restart. Dele Alli and Son Heung-min each struck to make it 4-0 to Spurs, while Saints pulled goals back through Sofiane Boufal and substitute Dusan Tadic. Pochettino conceded the spectacle was good for neutral spectators but said he would have preferred his team to be tighter defensively. "The game was open; 5-2 but maybe (it could have) finished 7-4," he said. "Very nice game for everyone to watch around the world but, for a manager, a little bit tough because when it's so open, everything can happen. "But I am so pleased to finish in this way the year and looking forward now for the next year. I think it was good to finish this way here in Wembley." As good as Spurs were offensively, it was a poor performance from the visitors as their winless run stretched to seven top-flight matches. Saints manager Mauricio Pellegrino, who left star defender Virgil van Dijk out of his squad for the second successive match, faced chants of, 'You're getting sacked in the morning' from sections of the sold-out away end during the match. Pellegrino insisted the decision to once again omit Van Dijk was tactical and said he did not know whether the wantaway Holland centre-back will be leaving in January amid reported interest from leaders Manchester City. "I decide that it's the best for the team. I know that around Virgil there will be a lot of speculation but this is my decision," Pellegrino said. "It's tactical reasons. The manager decides which is the best for every single game; we win, we draw, we lost with and without Virgil and in this squad right now I have a lot of players who can play. "Now he's part of our club and we know that Virgil is an important player for us but we'll see what happens in the future. "I cannot control the whispers and the news from outside."